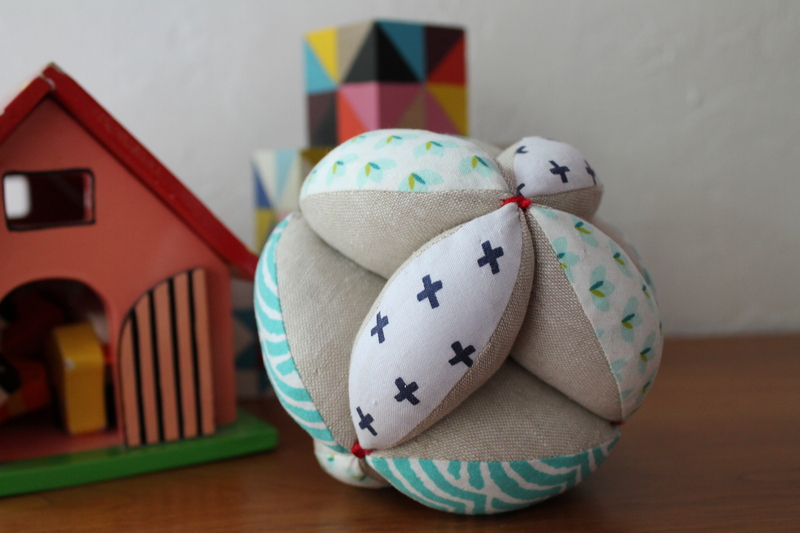 I’ve been thinking about making a soft toy for a while–one day I want to make a stuffed bunny–but this puzzle ball seemed like a good start. The pattern I used is in Last Minute Patchwork and Quilted Gifts by Joelle Hoverson, of Purl Soho fame. The pattern is really well written, and it was fairly quick to make–once I got the hang of it. The ball is made from twelve wedges that are stuffed (definitely the most time consuming part!) and then sewn together at the points. My first attempt was a little under-stuffed, so the wedges were not as snug as they should be. I made another one and really packed each wedge until it was very firm–just as the pattern instructed. 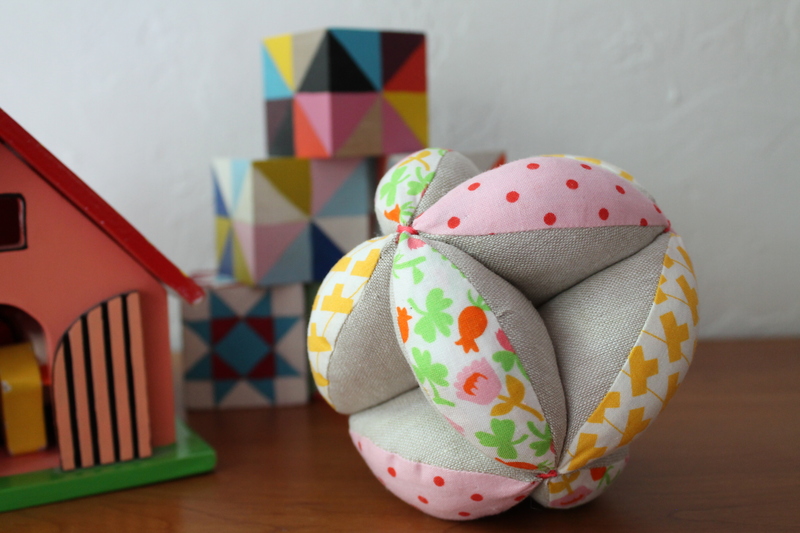 The finished ball is perfectly compact and round, but still squishy enough. I was so pleased that I made one more–in blue. This entry was posted in quilts and tagged Amish, baby toy, last minute gift, puzzle ball on June 1, 2015 by brigitdermott. Very cool! Perfect baby gifts! Hello, Just visiting via Crazy Mom’s link up. That’s a lovely toy. My baby was given one years ago and she loved it, so easy for her to hold too. Great photos, I love the way you soft focused the background.